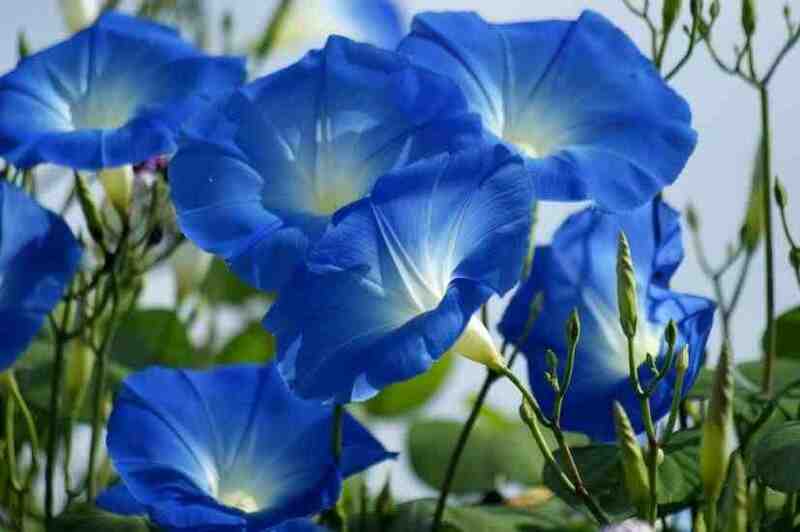 Surely ‘Heavenly Blue’ is one of the most attractive annual climbers known to modern man? Stunning sky blue, trumpet shaped flowers just keep coming and coming all summer long..they look wonderful floating in a bowl of water…very North London Chic…all the rage in Shorditch I’m sure. They are also super easy to raise from seed and the bees and the butterflies go weak at the knees for them.